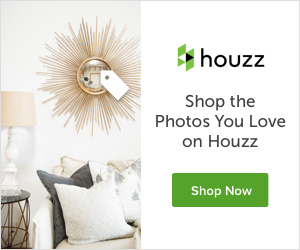 Last week, I shared a post on my Blush Pink and Gold Galentine’s Dinner Party, so my home has been decorated for Valentine’s Day for quite a while. There are so many easy and beautiful ways to create romantic Valentine’s Day decor around your home or for a party. Today, I am sharing a few favorite inspirations of mine from other bloggers that I follow and admire. There are so many talented folks out there and these gals definitely deserve a following among many others! Click on over to my recent post to see how I created this table setting and for many helpful hints and sources. The blush pink table runners were only $9.99 each and there are lots of other cost-saving recommendations. Choosing your color palate and sticking with it throughout your home can really create a thoughtful look. I love how Tanya NG used this soft, blush pink palate for her function. It also really compliments the existing decor in the rest of her room so nicely! If you prefer a vintage look in your home, then you will love this Valentine’s Day Tea Party table setting by So Much Better with Age! Between the gauzy table covering, the layered teacups and the simplicity of the table, this setting is just divine!! If you are like me and have a lot of antique containers (mine being passed down by multiple family members), this is a stunning way to utilize them in your table settings not only for Valentine’s Day but throughout the year and in multiple areas of your home. Notice the uses of multiple types and colors of flowers Lory at Designthusiam incorporated here. It adds such great textures and softness to the table setting. So, so romantic!! If you are wanting to create a simple and intimate dinner for two, then you will love this inspiration by Jennifer at Driven by Decor. She pays great attention to every detail…the flowers, the deserts, the candlelight, and the surrounding decor. This is a perfect example that you don’t have to have a lot of space to create a romantic venue for your special loved one! Sometimes, I really enjoy a simple table setting. What makes this table so impactful is the drama of the floral arrangement (also showing that you do not necessarily have to use red to create a beautiful Valentine’s Day tablescape). It was skillfully created by Janet of Shabbyfufu. When your centerpiece is a grand as this, keeping the rest of your table setting clean and simple really allows the flowers to shine and be the center of attention! Even though the inspirations above all include tones of pink, I also still love implementing the classic reds that are very typical for Valentine’s Day celebrations. This super fun chic table setting by Randi of Randi Garrett Designs is a great example of how to use both the pink and red tones together for a festive look. I especially love the black and white fabric used as the backdrop for this adorable table setting! This beautiful centerpiece by Style Me Pretty is another stunning example of using pinks and reds together. Wouldn’t you just love to have this arrangement in your home every single day?! If you enjoy a classic red and white Valentine’s Day table setting, then you will really enjoy this one by Yvonne of Stone Gable! The red accessories, simple flowers, and red and white fabric are so classic and elegant! You cannot go wrong with a design similar to this!! Here is another totally adorable red themed tablescape for a Galentine’s Party by Celebrating Everyday Life! I love the layering of fabrics and napkins and serving ware. It all adds to the character of the table…a table anyone would love to gather around! The gold heart ornament is such a special touch! Finally, if you prefer bright and festive colors then you will adore this fantastic Galentine’s Party table setting!! Janice of fig and twigs went all out on this happy table and I just love it. I don’t think I would have wanted to leave!! So much for the eye to see! 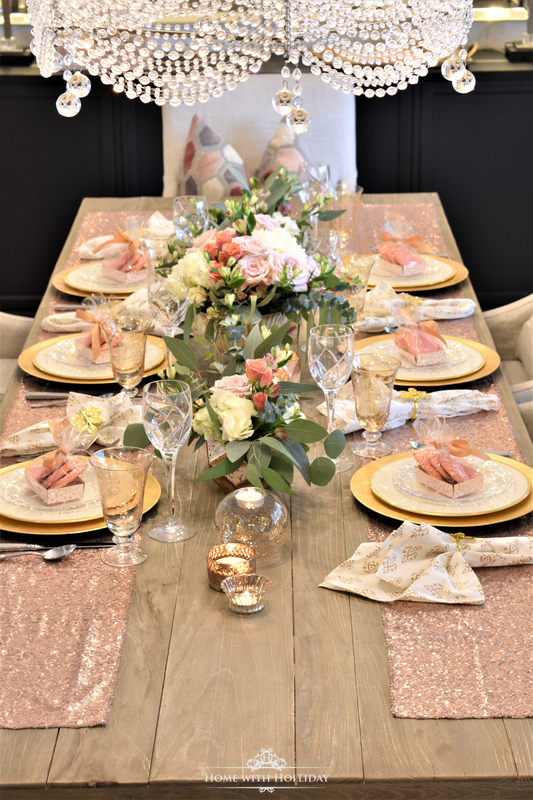 Blush Pink and Gold Galentine’s Dinner Party. I also added a few “Valentine’s Day” touches to my buffet that I kept around after the party. Just changing up the accessories to coordinate and adding fresh flowers added to the romantic feeling of the area. Similarly, I adore this bar set up by Monika Hibbs and how she coordinated her cocktails and decor with the theme of her brunch! Using your cocktail and menu offerings for your parties is a great way to add to the overall feel! Sometimes, just adding a few pops of your favorite color to use for Valentine’s Day will do the trick. That could be a pillow, a throw, or other accessories within your preferred color palate. I just love the softness of these table decorations by Randi Garrett and the simple decorations she added to her island! Decorating your island for the holiday can really get your loved ones excited about the upcoming festivities! Thank you so much for stopping by today! Valentine’s Day is a perfect opportunity to show your love and appreciation to those whom you love. There are so many fun ways to decorate different areas of your home for this special day and the days leading up to it. Hopefully, some of these talented ladies have inspired you! If you would like some menu ideas for a Valentine’s or Galentine’s Party, click here. I hope you and your loved ones have a blessed Valentine’s Day and that you take great effort to make everyone feel appreciated for their unique qualities. Please consider subscribing to my blog so you can receive instant notification of my new posts! Super pretty! Wish I had half a second to do some of this! Keep it up though. I live vicariously through all this glitz and glam! Why, thank you! You can do it!! Happy Valentine’s Day!